So it's here - the last day of the school year. Stretching ahead of us are six weeks of adventure, sunshine (abroad), and a road-trip or two. I am also expecting the requisite amount of sibling squabbling (the kids) and tearing out of hair / wine consumption (me), plenty of fun and also some relaxing knitting. I was looking for something else and came across a project which I started a few years ago, when the weather was warm and I wanted to knit linen. At the time, it didn't smell very nice and I put it aside for something else. After languishing in the cupboard the smell has faded and I've found that it is exactly the sort of knitting I need right now - relaxing, and meditative. It's going in my bag ready for the after-school shenanigans. 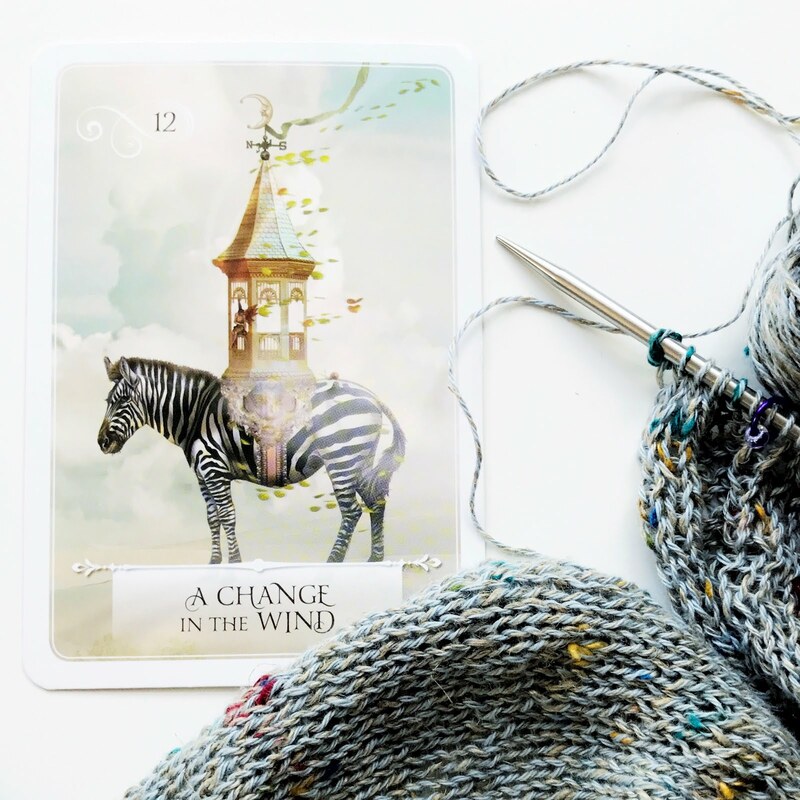 I've also been twiddling about with the beautiful new yarn I'm reviewing for The Knitting Goddess. I'd planned a very plain project with it, but am still swatching a few other ideas including simple lace. Until I'm sure what it wants to be, I won't cast on the full skein I (immediately) ordered. The review will be up at the beginning of August, along with full details. 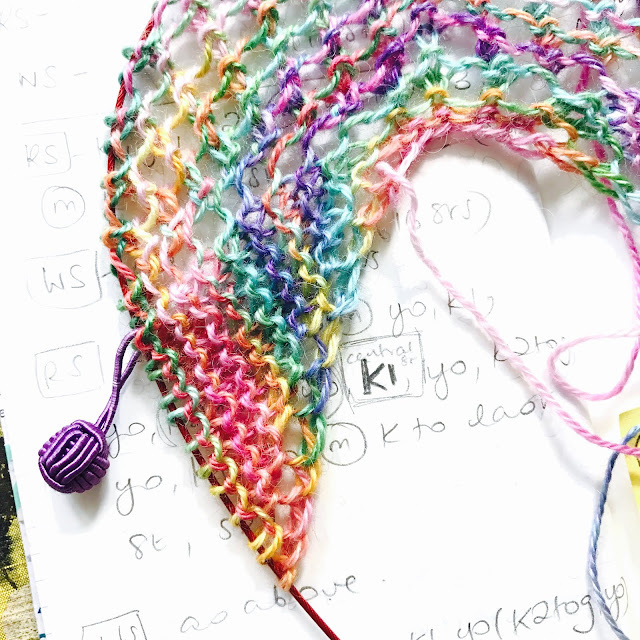 So there definitely will be some knitting over the summer, and I'll be popping online long enough to post here and on my other blog every so often, but mostly I'm planning to take it easy and enjoy the time with my kids (and D when he manages to leave his Edit Suite). If you want to keep up with the goings-on and WIP updates, be sure to follow Crafts from the Cwtch on Instagram (I also post daily musings/quotes here). In the meantime, I have some wonderful guests lined up and they will be sending you virtual 'postcards' from all over the world! In fact, the first few have already arrived and I'm so excited to share them with you. Some are from people you will already know, and I'm hoping to introduce you to a few people too. The first post is scheduled for Thursday (27th July) so stay tuned! So nice to hear a mum who seems to be looking forward to the school holidays! (Despite some inevitable squabbling - that's just so you know they're still alive!!) Have a lovely 6 weeks. Thanks! I think it's about adjusting one's expectations - once you come to terms with the inevitable, it's possible to make the most of the fun relaxing bits! Have a great summer! Whoops - sorry, I wasn't logged in! I hope you have a great summer with lots of knitting! Looking forward to the virtual postcards, they sound fun!